At the County Council, I am a member of the select committee that looks at Public Health and we recently received a presentation about ‘Men’s Sheds’. I have to say that at first I was rather puzzled about the general idea, but the more I learned about it the more it occurred to me that a Men’s Shed would be incredibly valuable in the area. Hence the beginning of a local project which I hope will be a success. So, what does a messy old shed full of workshop tools have to do with men’s health? The health of men, particularly that of single men, or those who may have lost loved ones and find themselves alone in later life, has been identified as a huge concern in communities all over the country. Not only the physical health of men but also their mental health. Isolation and lack of contact with the outside world is one of the biggest causes of depression, and particularly so in men of all ages. That is not to say that women do not suffer from loneliness. But women often find it easier to initiate going out for a coffee with friends or to join clubs such as the WI, Zumba or even Weight Watchers, where they can chat and have fun together. It has been found that many men find socialising much harder. A Men’s Shed is one way that men can find friendship and camaraderie amongst other like-minded people. Men working together on projects, learning new skills, sharing ideas and successes, helps general wellbeing and encourages a more active and fulfilling lifestyle. Sheds also offer a place to put the world to rights, to laugh and relax with other people. 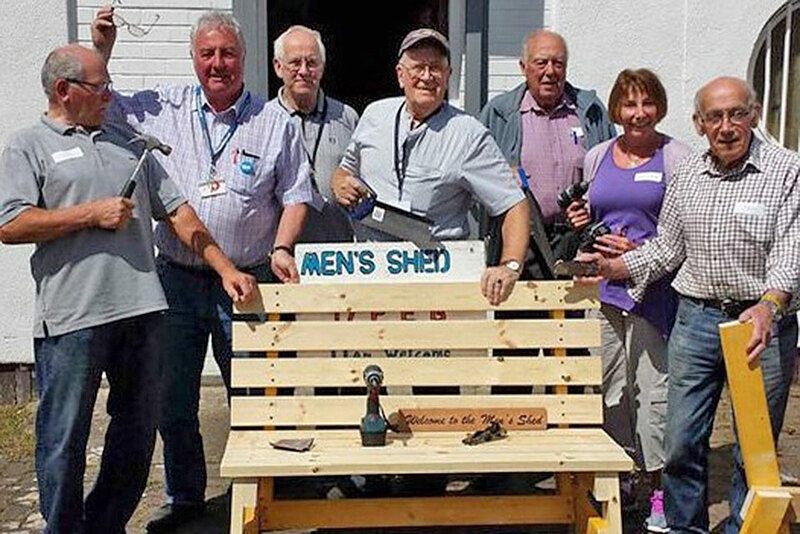 There is a national Men’s Shed Association (menssheds.org.uk) and there are now close to 40 Men’s Sheds in Hampshire alone, all run by the Shedders who use them. If you would like to become part of the ‘Men’s Shed brigade’ in this area, and help to get a new Shed started, please get in touch with me in the first instance (contact details below).